RESIDENTIAL NEW CONSTRUCTION AVAILABLE NOW FOR QUICK MOVE-IN!! 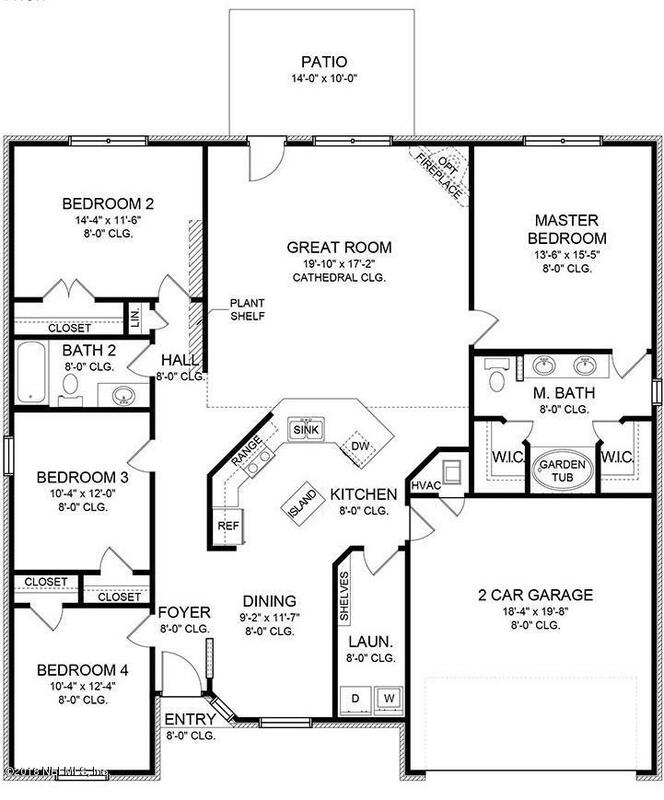 This split floor plan comes with a 5' shower and double walk in closets in the master. The open kitchen features center island great for food prep, pull out waste basket, upgraded cabinets and breakfast nook. Spacious bedroom sizes for the whole family. Vaulted ceilings in the oversized family room. Relax and enjoy on your covered porch with amazing panoramic views of the lake surrounded by lush landscaping. $1000 deposit.30 day closing.Builder to pay closing costs with preferred lender.Minutes from JIA, River City Marketplace & Amazon.Brand new Charter School minutes away.Model home open daily till 6:00 pm.